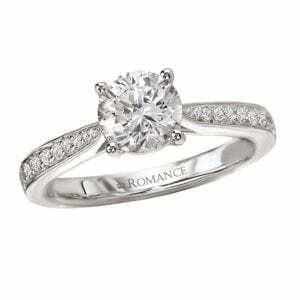 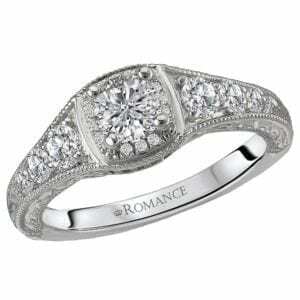 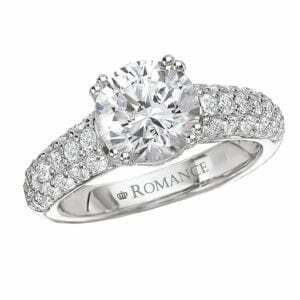 25496 Diamond Engagement Ring 0.87 Ctw. 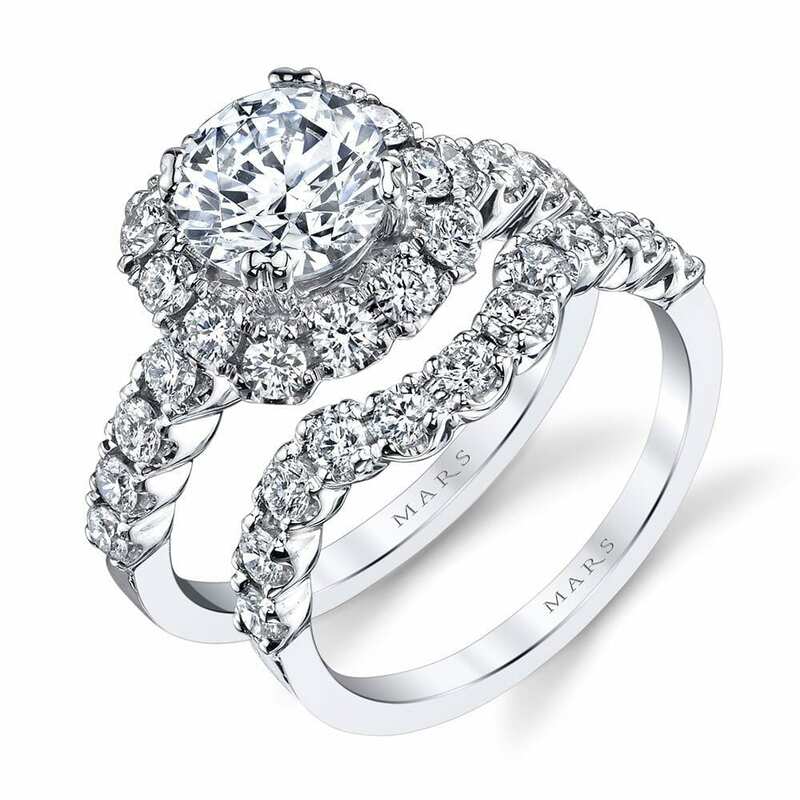 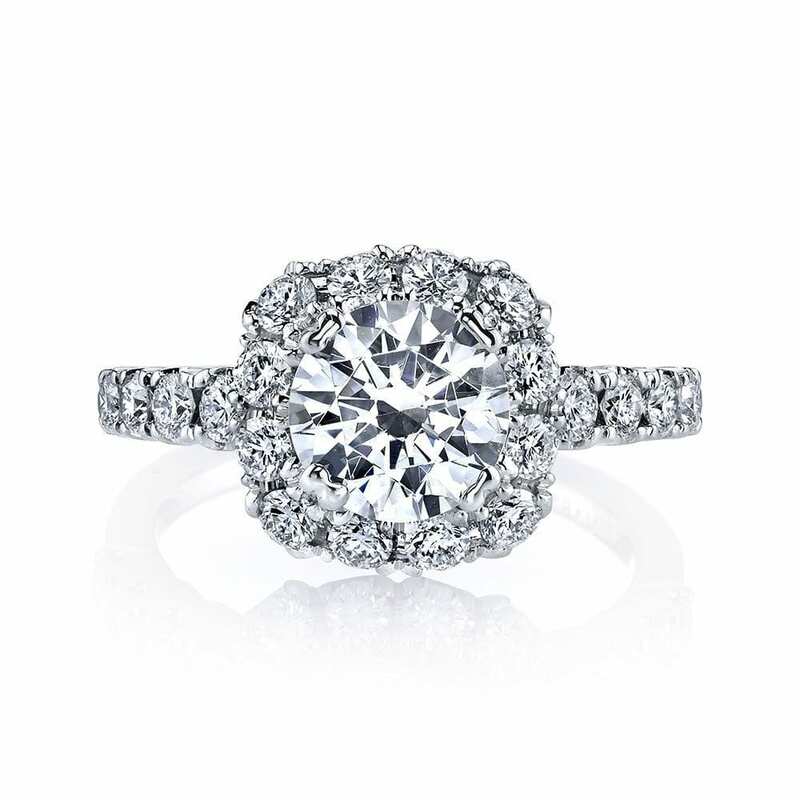 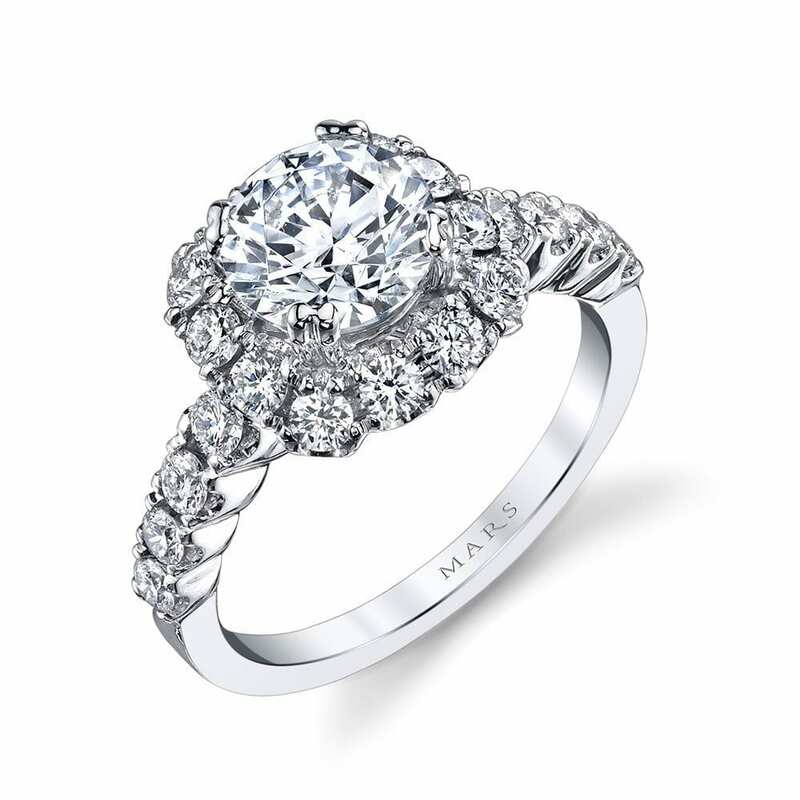 Our signature embellished cushion halo engagement ring set with round brilliant diamond accent stones. 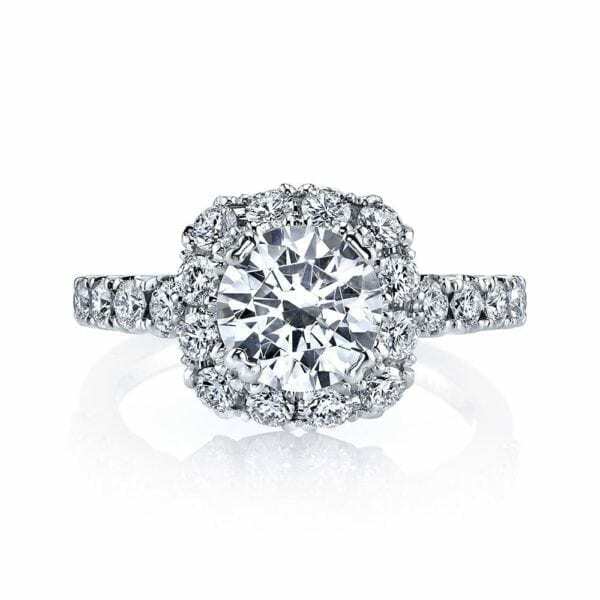 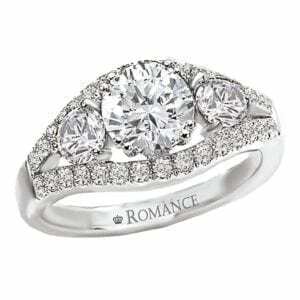 This engagement setting features a: Diamond Embellished Single Row; Diamond Embellished Cushion Halo; Shown with One and Half Carat Round Center; Center Not included in Price; 0.87 Carat Weight Total.